Upgrades - Cruise Control, Privacy Glass, PCM with Satellite Navigation, Servotronic Power Steering, Four wheel-drive, Standard Features - 20in Cayenne Sport Design Alloy Wheels, Metallic Paint, Wheel Centre Set with Full-Colour Porsche Crest, PCM Telephone Module without Handset, ParkAssist at Front and Rear, Air Suspension with PASM, Heated Front and Rear Seats, Heated F&R Seats with Heated Steering Wheel, Full Leather Interior, Six-disc CD Autochanger, Air-Conditioning (Automatic), Alarm, Alloy Wheels, Electric Windows (Front/Rear), In Car Entertainment (Radio/CD), Seats Electric (Driver/Passenger). 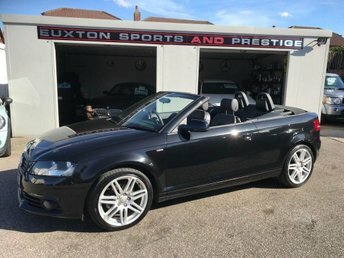 5 seats, FULL SERVICE HISTORY + SATELLITE NAVIGATION + FRONT AND REAR PARK ASSIST + FULL LEATHER INTERIOR FINISHED IN SOFT LEATHER + HEATED FRONT AND REAR SEATS INCLUDING HEATED STEERING WHEEL + TELEPHONE MODULE + REAR ENTERTAINMENT + PRIVACY GLASS + 20' SPORTS DESIGN ALLOY WHEELS + PORSCHE COMMUNICATION MANAGEMENT. , FULL SERVICE HISTORY + SATELLITE NAVIGATION + FRONT AND REAR PARK ASSIST + FULL LEATHER INTERIOR FINISHED IN SOFT LEATHER + HEATED FRONT AND REAR SEATS INCLUDING HEATED STEERING WHEEL + TELEPHONE MODULE + REAR ENTERTAINMENT + PRIVACY GLASS + 20' SPORTS DESIGN ALLOY WHEELS + PORSCHE COMMUNICATION MANAGEMENT.